While work continues on the multi-million dollar Bridgeport Sports and Recreation Complex, upkeep and maintenance of other projects under the care of the Parks and Recreation Department aren’t being neglected. In fact, other projects and regular maintenance are taking place as scheduled. 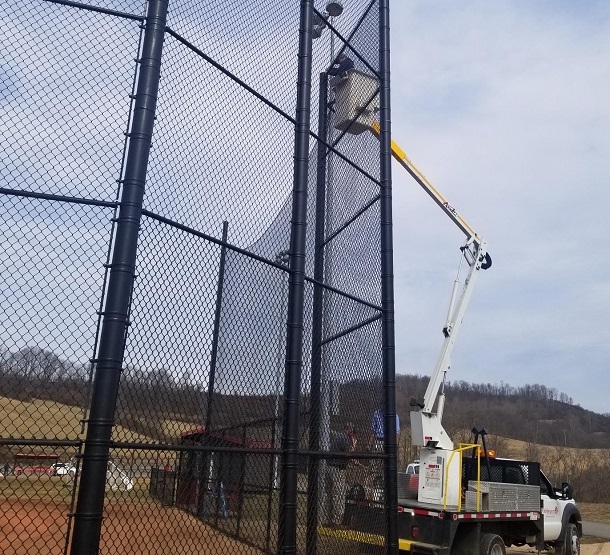 The most recent project involves netting at the new C-Ball field built at the far end of the existing outdoor portion of the Bridgeport Recreation facility. The new field was constructed to help provide space for youngsters when the old field was eliminated during the construction of the new Johnson Elementary School. The problems involved balls going over the hill toward Route 131. Balls were also going over the first base side and going into a wooded area with not-so-easy access as well as getting close to those utilizing the walking trails. The project involved the recent installation of netting from the backstop to the dugout areas along both baselines. The netting goes up 30 feet. 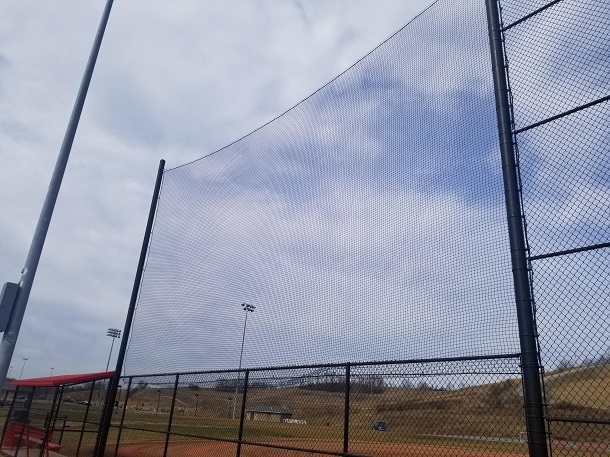 “The netting is the same height with the poles and netting that we have on the four-field configuration at the complex,” said Shuttleworth. The P&R staff handled the cabling and netting installation. The poles needed for that were installed by Alco Fending. Shuttleworth said the project, which was budgeted for, cost $7,000. He added that improvements and maintenance will continue through all properties and programs under the direction of Parks and Recreation. “It’s been a point of discussion from (previous director) Don (Burton) to myself, Council, the mayor, the administration and all involved that we maintain the same standard or higher in our system we’ve had as a general rule for as long as I can remember,” said Shuttleworth. “The goal is to have our properties nice, clean, fresh and usable for public consumption. Editor's Note: Top photo shows the finished product, while workers are shown below with the city putting the netting to the installed poles.